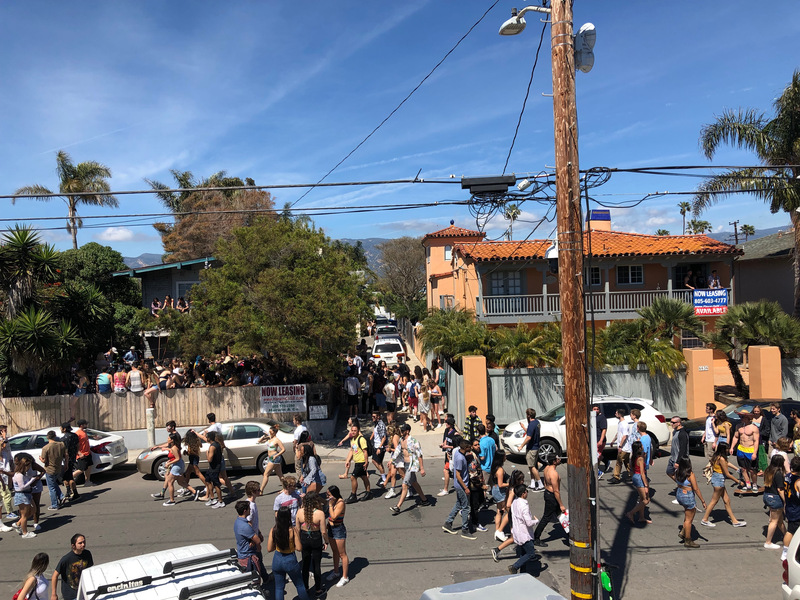 On April 7, 2019, two young men from Northern California were stopped on Sabado Tarde in Isla Vista by a sergeant with the UCSB Police Department at approximately 11 p.m. While the car was searched, two people came up to tell the officer they’d been robbed. The sergeant had stopped the car, containing 20-year-old Elijah Francis from Santa Cruz and 18-year-old Devosia Harper from Stockton, for driving without headlights. Two Sheriff’s personnel on Deltopia duty came up to the traffic stop, and one of them said the car had been involved in an armed robbery in Santa Barbara on Saturday. The Sheriff’s Office stated in a press release that a search of the car located a firearm, large quantities of cocaine, marijuana, and Xanax pills. During the traffic stop, the two robbery victims arrived, one of whom said he’d been hit on the head with a pistol. The Sheriff’s deputies stated the man was bleeding. As the investigation took place, the victims identified Francis and Harper for the robbery. The two, who’d told the officers they were there for Deltopia, were arrested on charges of robbery, attempted robbery, conspiracy, possession of a loaded firearm, and being a felon in possession of a firearm. Harper additionally faces charges for assault with a deadly weapon.